Following on from my previous article, showing off my Night Lords Terminators I thought I'd continue with a brief showcase of my Legion Night Raptors. We have come for you! 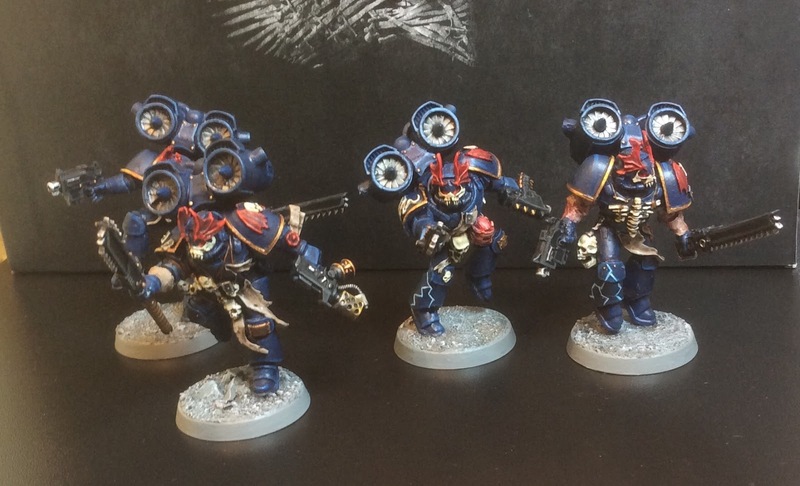 These guys are a gorgeous set of models from Forgeworld, and the only Night Lords Legion specific unit available so far (with the exception of the Terror Squad parts which are essentially just kitbash materials). I really love the details that have been worked into these minis; the bones, skulls and scraps of flesh hanging from their armour add a really horrific feel and help them to evoke the background of the Legion. Combined with the unit special rules, the Chainglaives mean that these guys are capable of putting out some serious hurt in assault. Potentially 5 attacks apiece at Strength 5 and WS 5. All with AP3 and rending from the Chainglaives! Now if only I had ten of them so I could take advantage of the Legion trait - A Talent For Murder. Death is nothing compared with vindication. Hope you've enjoyed seeing these guys, more Night Lords to come as I update the blog this week. Until then, Stand in Midnight Clad! 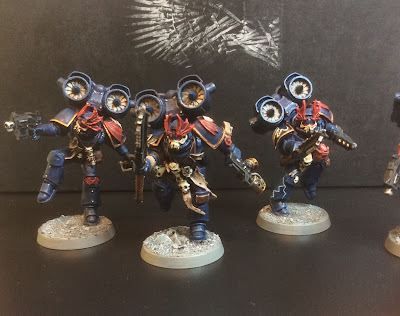 I'm glad these guys are more effective then the CSM equivalent in 40k. 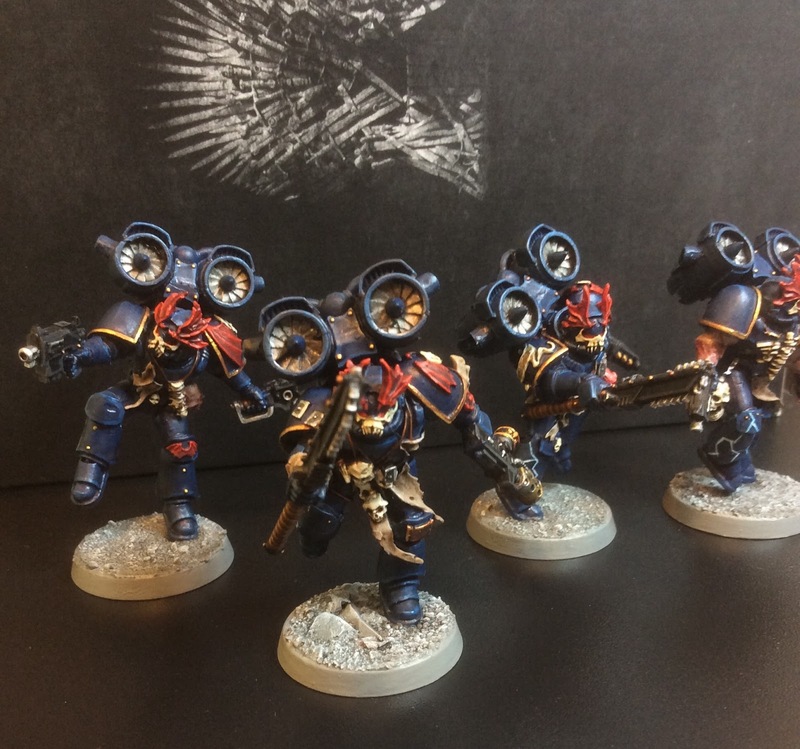 They look awesome and should get a lot of great use on the table. They're pretty powerful, but a little points heavy. A bit prone to getting shot up on the way in unfortunately.